Alexandra Giertz and Matilda Bjerlestam started the brand Hollie Woods out of love for traditional Swedish handicraft paired with design. They both grew up with wooden shoes during the seventies and eighties. Back then the shoes had a fun hippie/flower child aura around them. Today they're creating a contemporary, funky shoe that is so comfortable you can wear it all day and so cool you can wear it all night. And yes - they do love silver and gold! 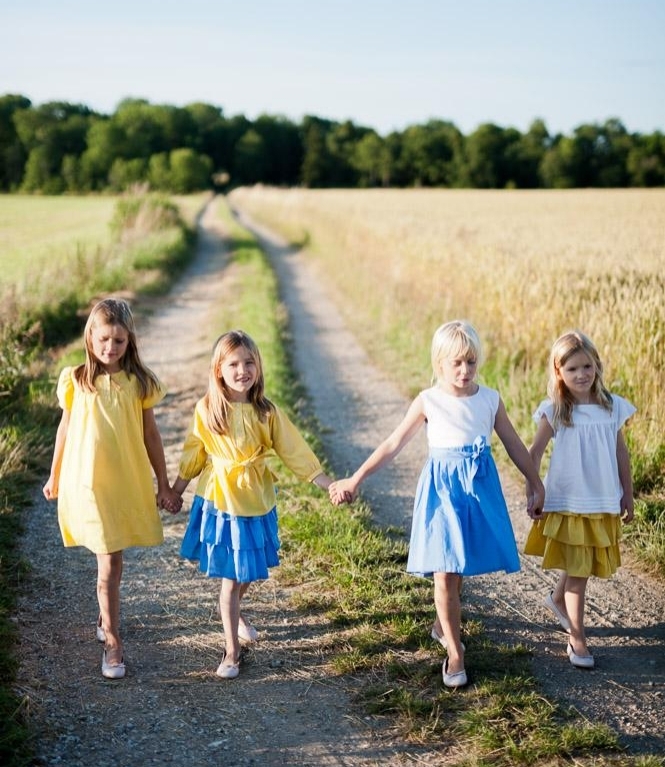 Hollie Woods are hand made in Sweden by Christian Stoltz, third generation wooden shoe maker. The brand itself is Dubai based but can deliver anywhere in the world. The sister brand Lili & Lala, created and designed by Alexandra Giertz, offers playful, comfortable, beautiful styles for women and girls 1-12 years. The clothes are made of great quality cotton poplin, linen and silk and the colours are soft, inspired by Swedish nature. The garments are made by skilled tailors in India who work under fair conditions. Stitching quality is outstanding, if you turn the garment inside out you will see how fabulously well stitched it is. All styles and prints are designed uniquely for Lili & Lala. The brand started with the birth of Alexandra's first daughter. Dressing her comfortably and beautifully created a big interest in childrens' wear. When moving from Sweden with her family in 2013, then with two young daughters, Alexandra decided to bring together her background in business, marketing and design and create her own brand. Fab company and great swings at the Nordic Open Golf!